What is FINE BLANKING ? Fine Blanking is a hybrid metal forming process, which is unique in both machinery and designed tooling. Fine Blanking process combines the technologies of stamping and cold extrusion which shortens the surface finishing process to save time and offer better quality products than other press processes. Products produced by Fine Blanking Dies are pressed and sheared by the cutting edges of the Main Punch and Die, which has a smaller clearance compared to Normal Press Dies. The products produced by this process has fully straightened cutting edges. 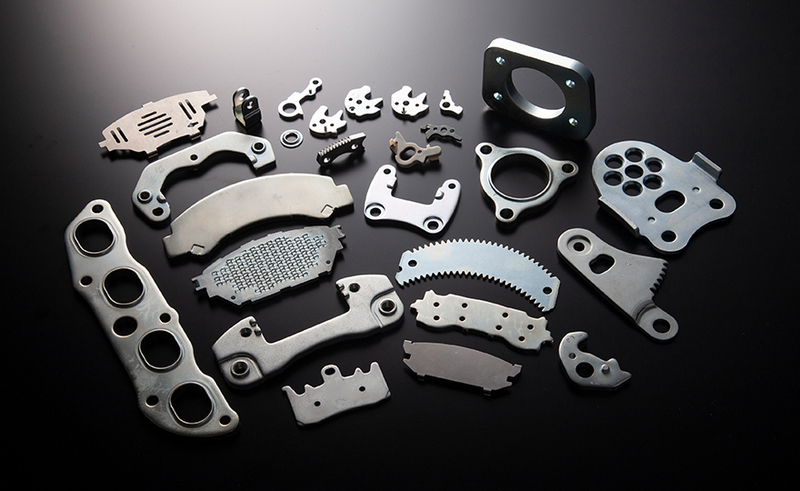 Fine Blanking Process can also produces products with small holes and gear teethes corresponding to thin material thickness, as well as products with excellent flatness and products that have very little dimensional variation from the first batch of products created to the millionth and beyond. In short, Fine Blanking is an extremely precise high volume manufacturing process, which offers fine quality for the mass production. Fine Blanking is cost effective for long lasting products. Today more than 60% of Fine Blanked products are used in the automotive industry and some with thickness up to 19 millimeters.